Hire of any Christmas Item including & not limited to, all Christmas trees, Wreaths, Garlands, Large Stars, Santa Thrones, Baubles, Finials, Decorations, Reindeers, Gift Boxs, Santa Lighting and accessories at all times, remain the property of Commercial Christmas Services. Clients are responsible for all Commercial Christmas Services hire equipment, whilst in their possession, or on their premises & during the term of the hire. All Items are Hired in good repair and condition, any damage must be recorded on receipt of item. Any item damaged, missing or broken, must be retained and Commercial Christmas contacted immediately. In the case of a criminal act not limited to vandalism or theft, Police must be contacted and an event number recorded for Commercial Christmas Services to conduct a damage assessment and replacement (not including general wear and tear). 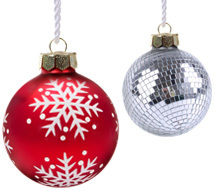 All lighting supplied with Christmas products are electrical source reliant. Although the manufacturer has installed safety features, client’s electrical outlets are to be in safe working order clear of any debris or clutter, before installation or use of Commercial Christmas services products. Commercial Christmas Services may impose an additional charge if the install team experience unacceptable delays due to circumstance beyond their control i.e. Team being refused access (security issues), client equipment/plant not avail/working, or faulty and or rain/weather delays. This charge will consist of labour or equipment charge at the standard rate. Any recall requiring Commercial Christmas Services to return on-site for adjustments will be charged at the appropriate labour rate $90.00 per person 3hrs min. Unless Hire item is faulty there will be no charge in that instance. 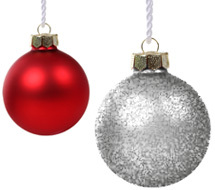 For Safety reasons Commercial Christmas Services may be required to install fixing points for hanging, suspended, larger or heavier decorations, this may involve some drilling into hard surfaces, walls, ceilings etc. Commercial Christmas services does not accept liability for any works carried out for the process of installing Christmas items. Commercial Christmas Services will not be held liable for any accidents, incidents or injuries relating to the hire of Commercial Christmas equipment. Settlement of all hire charges and accounts are to be finalised within 30 days of placing order. Cancellation Of Booking either part or whole will be charged out, as a cancellation fee of 50% of whole booking. Any outstanding accounts not finalised within 30 days of date of invoice, will be liable to late payment fees and interest charges. Commercial Christmas Services have full Public Liability & Workers Compensation Insurance with no outstanding liabilities, Our Install & Display team have total Workers Compensation cover.